Wonders terrestrial and aquatic, ancient ruins, near drownings, and more kinds of dragon than you can shake a wing at… Six years after her perilous exploits in Eriga, Lady Trent embarks on her most ambitious expedition yet: a two-year trip around the world aboard the Royal Survey Ship Basilisk, to study all manner of dragons. From feathered serpents sunning themselves in the ruins of a fallen civilization to the mighty sea serpents of the tropics, these creatures are a source of both endless fascination and frequent peril. Accompanying her is her young son and a chivalrous foreign archaeologist whose interests converge with Isabella s in ways both professional and personal. Science is, of course, the primary objective of the voyage, but Isabella’s life is rarely so simple. She must cope with storms, shipwrecks, intrigue, and warfare, even as she makes a discovery that offers a revolutionary new insight into the ancient history of dragons. To create a cross between Victorian era fiction, a memoir on travel and to document the growth of a family must be a daunting task for any author. Brennan had, with the previous two novels in this series, set the bar very high and has continued to impress me in the third instalment, Voyage of the Basilisk. 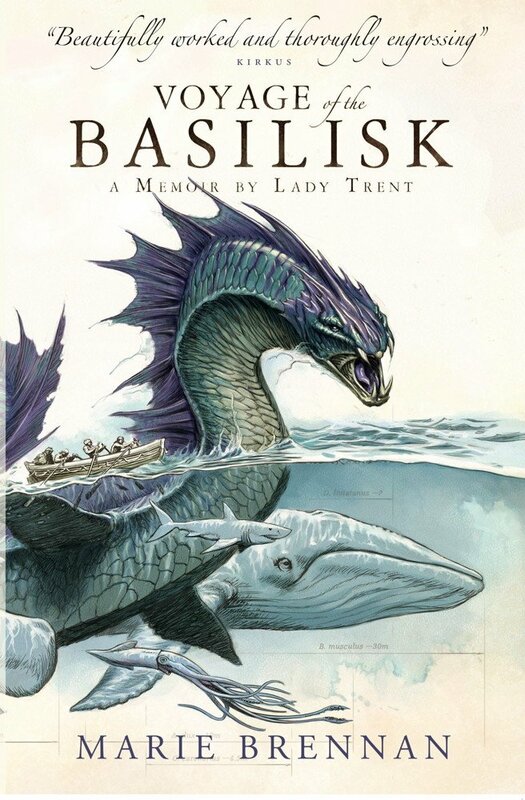 Following the Lady Trent and her now nine year old child on another voyage to study Dragons has, to me, made the finest piece of work so far by the author, much more intellectual than the previous two and somehow still easier to follow and much more engrossing all at once. The reader does need to pay attention to what is happening, to be able to follow the ship’s progress while Trent is out on her travels; and also to bear in mind the Victorian age style setting and the social constructs that we assume to have been present to fully appreciate the depth of the tale being told and how clever the character interactions actually are here. My only criticism at all, if that is the correct term is the sharp end to this novel, I’m hoping this does mean there is a follow up in the pipe line though. Gav.